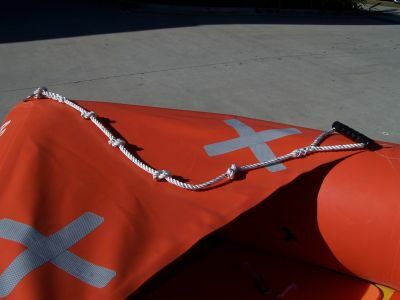 The MCM bow handle and rope is manufactured from 12mm nylon rope, with a plastic coated aluminum handle. 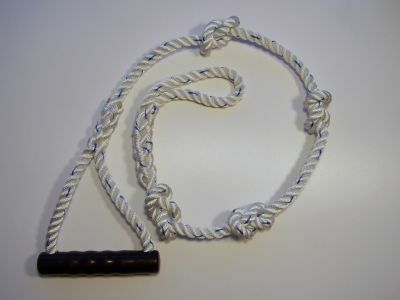 The rope is fed thought the inside of the handle so a comfortable feel and grip is achieved. The 12mm nylon rope is spliced each end and 4x knots are tied to create a positive grip when negotiation the surf.